Want an interactive technology that will make your dry erase board into an interactive surface in just minutes? Are you not sure which interactive whiteboard is right for you? 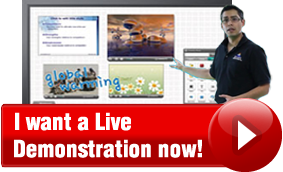 Don't want to spend big bucks on a dedicated interactive whiteboard? You've come to the right place. Allow our Live Product Specialists to help. eBeam is the leading brand for portable interactive whiteboard technology. 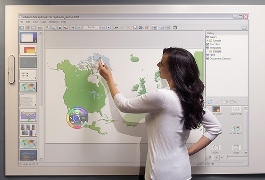 The eBeam Edge Technology allows you to convert any standard dry erase board into an interactive surface. Our product specialists can walk you through all the important features of this amazing technology via live video feed straight from our San Diego facility. The term portable interactive whiteboard may sound confusing since it is not a physical interactive whiteboard but rather a device that turns an ordinary flat surface into an interactive one. We understand the ambiguity surrounding this technology and can explain its utility based on your requirements. Here are some common queries that we encounter. 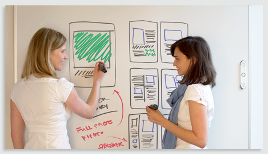 It's hard to imagine how dry erase boards can be converted to interactive surfaces. How does it work? When should I go for a portable interactive whiteboard such as the eBeam edge over a traditional interactive whiteboard? eBeam technology transforms flat surfaces into interactive ones in just minutes. eBeam is the leading brand for portable interactive whiteboard technology. Technologies such as the eBeam edge are perfect for business professionals and educators. You can practically achieve interactive whiteboard like results with devices such as the eBeam Edge. The eBeam Edge for instance transforms any flat surface interactive in minutes. You can save tons of money on additional projectors and interactive whiteboards by employing eBeam technology. Use your existing projector, dry erase board and PC or laptop coupled with eBeam's technology and start delivering interactive presentations and classroom lessons. Our experts can help you decide what products best suit your needs. Our Live Product Specialists can help. Our product specialists can assist you in selecting the right technology for different verticals such as educational institutes, corporations, government and military institutions and social enterprises to name a few. Our Live Video Feed is beamed from our San Diego office. Portable interactive technology by eBeam is the perfect solution for you if you're on a budget. 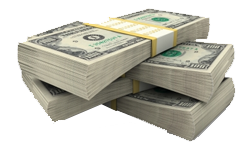 Talk to one of our eBeam specialists to learn how you can save considerably on your next interactive technology. We are a team of interactive whiteboard specialists, technicians, marketing and sales professionals who've been in this business for the last 20 years. Leveraging from our experience and expertise we offer sincere and unbiased advice to people who're looking to take the interactive whiteboard route. Why this online resource deserves your attention! We offer unconventional and unbiased wisdom on interactive boards, which you will not find on websites. We let you in on facts and information, which interactive whiteboard manufacturers don't want you to find out. Know everything you need to before investing in the right product. We have a whole bunch of resources to help you select the right interactive whiteboard technology that fits your requirements. There is no FORM associated with this page, nor with current domain.